The 2019 Jeep® Cherokee is built to beautifully navigate city streets during the week and to take the road less traveled on weekends. This crossover SUV is both brawny and bright, meeting all your driving needs with its modern performance and technology. The 2019 Jeep® Cherokee is available at eight trim levels: Latitude, Latitude Plus, Altitude, Limited, High Altitude, Trailhawk®, Overland, and Trailhawk® Elite. All trims are available with front-wheel drive (FWD) or as a 4×4, except for the Trailhawk® and Trailhawk® Elite, which are only available in the 4×4 configuration. The 2019 Jeep® Cherokee offers three sophisticated powertrain options to drivers, allowing you to select precisely how much power you want at your command. It comes equipped with a standard TigerShark® MultiAir® 2 engine that pumps out 180 horsepower and 170 lb-ft of torque. The engine also delivers up to 31 mpg on the highway, achieving the perfect balance of power and efficiency, and is capable of towing up to 2,000 pounds. Looking for even more breathtaking power? You can opt for the 3.2-liter Pentastar® V6 engine, which provides 271 horsepower, 239 lb-ft of torque, and has a max towing capacity of 4,500 pounds. Lastly, you can spring for the 2.0-liter Turbo Engine, which boasts 270 horsepower, 295 lb-ft of torque, and has a max towing capacity of 4,000 pounds. All three engines come paired with an advanced nine-speed automatic transmission. No automaker quite denotes bold American power and design like Jeep, and the 2019 Jeep® Cherokee’s exterior and interior design are beautifully contemporary and modern. The spacious cabin can comfortably seat up to five passengers and, for all your weekend adventures, offers up to 54.9 cu-ft of cargo space. To make your Cherokee even more comfortable, you can opt for the available Nappa leather-trimmed seating. The interior also features a state-of-the-art Uconnect® 4 infotainment system, which offers standard Apple CarPlay™ and Android Auto™ compatibility. For easy navigation on all your adventures, you can opt for built-in navigation. The Jeep® Cherokee offers three advanced 4×4 systems to choose from: Active Drive I 4×4 System, Active Drive II 4×4 System, and Active Drive Lock 4×4 System. All three systems offer superior traction, control, and stability, but differ slightly in terms of exact features – you can choose the one that best fits your adventurous lifestyle. 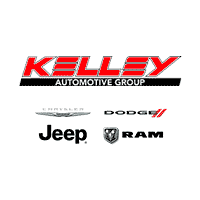 The 2019 Jeep® Cherokee is now at Tom Kelley CDJR, so contact us if you want to take a test drive to experience its power in person. *EPA estimated with a 2.4L engine and nine-speed automatic transmission, 4×2. Actual mileage may vary.